I am proud to say today was a much more successful day in my kitchen! I baked bread. I was suprised that although my food processor is 12 cups, they still only recommend making one loaf in it. Oh well. I credit the food processor with the wonderful wonderful resulting loaf. This greatly surpasses any bread I ever made kneading by hand. It truly makes breadmaking easy. It doesn't change the time greatly (can't make that yeast act any faster than it will), but it does make it a little less messy and made the bread turn out delish. Nice and soft and airy inside. Wow - that's looks great! 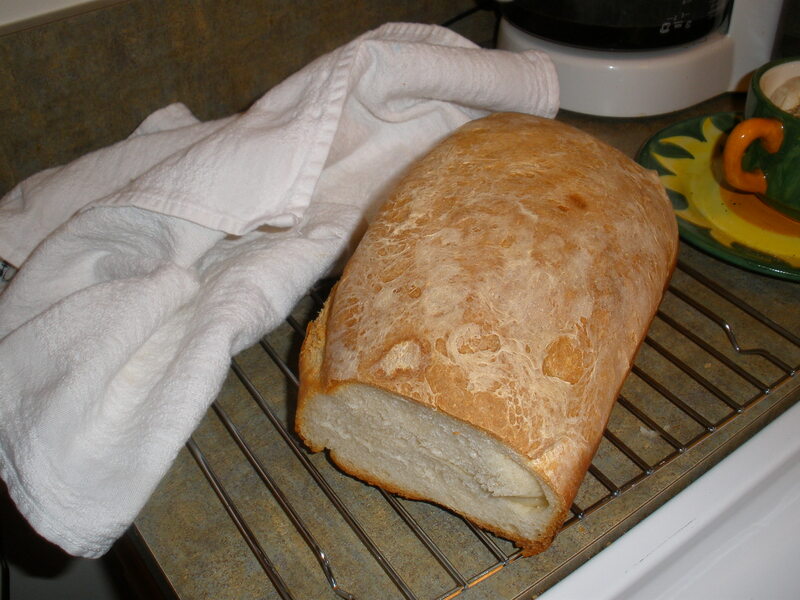 I never knew you could make bread using a food processor!